ED – Sinar Jernih (India) Pvt. Ltd. I was fortunate to meet Anupama Awasthi, an Experienced and Qualified Chartered Accountant who joined Guardian as our Head of Finance on a part-time basis. Her understanding of Finance was very good. She worked with us for 3 years. I would credit her for a lot of Systems that Guardian has today. She single-handedly got all our initial Approvals & Registrations. I have a lot to thank her for. 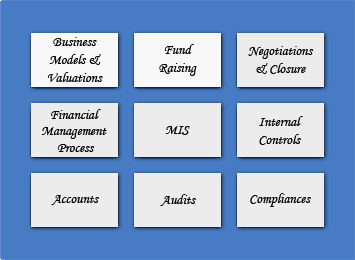 ©2012 Access CFO Consultants Pvt. Ltd. All rights reserved.